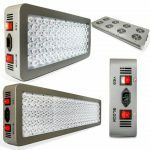 What you are about to read is the best review of the Dimgogo Triple Chips Full Spectrum Grow Lamp you will see . 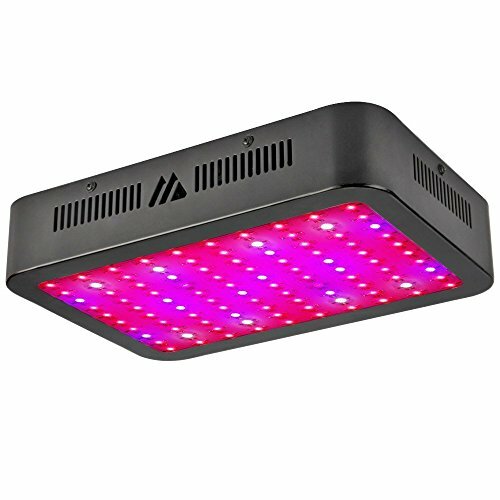 First, we’ll list some of the pros and cons of this great grow lamp and then we’ll do a more detailed analysis. And of course, we did manage to find the LOWEST POSSIBLE price of this product on the market, meaning you don’t have to do all the digging by yourself. Now, let’s see what this is all about. The unit delivers quite good energy conversion rates. You can choose from two different variations suitable for different plant types. 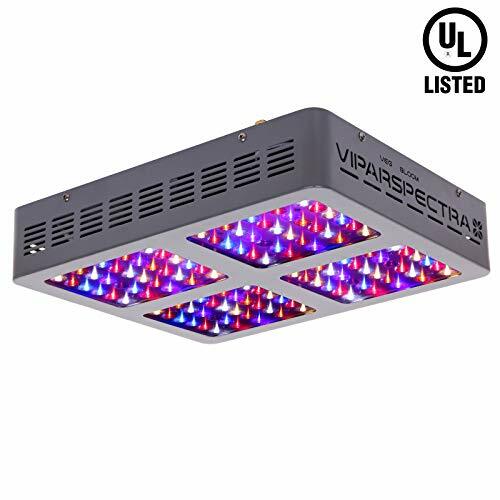 The overall health of your plants is improved by the inclusion of both UV and IR LEDs. 185 watts of energy consumption, which is pretty good. You’ll have to check on the state of the fans periodically because they tend to accumulate dust particles and other environmental factors. 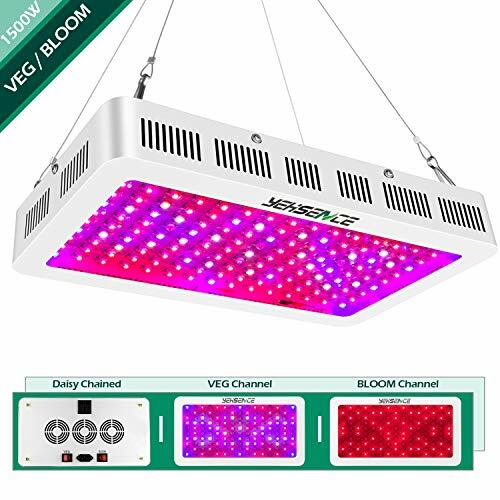 The Dimgogo Triple Chips Full Spectrum Grow Lamp is a great option for a wide range of uses. 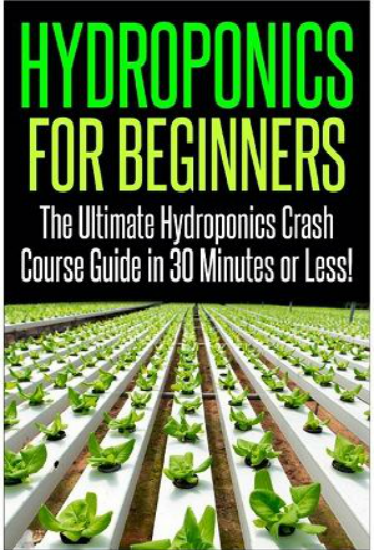 It can be considered a promising choice for growing weed, flower exhibitions, greenhouse cultivation, and many other applications. It uses 10-watt LEDs like the most of the other options on the market. 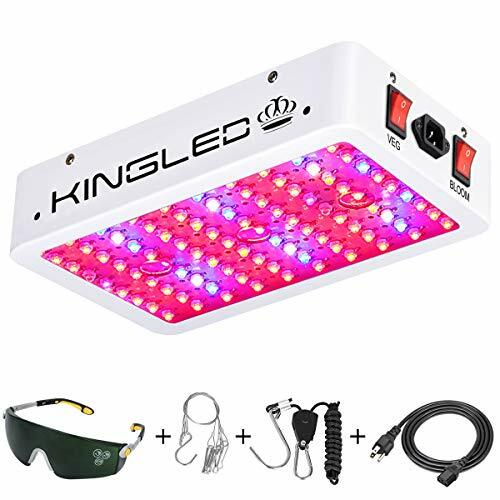 This means it’s capable of producing much more intense light than the lamps that use LEDs with lower wattages without producing too much heat that can damage your plants. 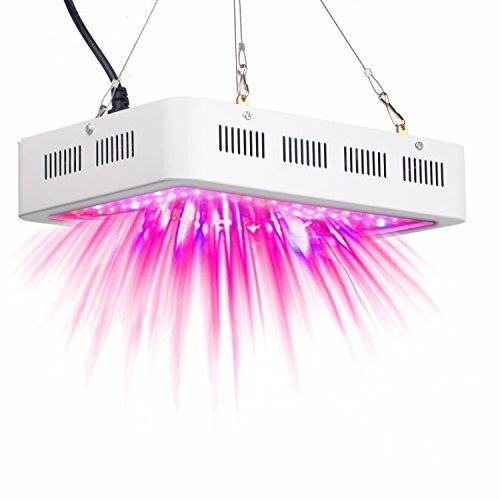 The Dimgogo Triple Chips Full Spectrum grow lamp consumes around 185 watts of energy which means it’s pretty darn energy efficient. It won’t cause a surge in your electricity bill even if you leave it on for a longer period of time. Additionally, you don’t have to worry about overheating because the unit comes with a very efficient cooling system made of two cooling fans built into the unit and a heat sink. This cooling system can manage all the heat that this unit can produce. Let’s start with power. This lamp provides more than enough power for average users. This is true because of a few reasons. First and foremost, it uses a 10-watt triple LED chips, meaning it can deliver more than average energy while consuming less power. This is some good engineering at work. 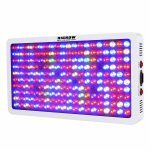 However, if you used to use a single LED chips before, you might want to consider some minor adjustments in your grow light positioning. These adjustments are necessary for avoiding any sorts of imbalances. 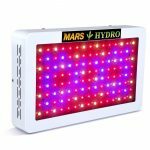 When it comes to wattage, the company claims that this is a 1000-watt grow light, but these are theoretical watts. These theoretical watts are what you get when you multiply a generic value of LEDs with the number of diodes used to make the lamp. This number doesn’t show the actual performance of the lamp. A lot of people tend to believe that this is the actual power of the lamp while in reality, it uses 185 watts on average, meaning that this machine is somewhere between beginner level and industrial strength. This balanced strength makes this lamp ideal for various projects of an average consumer. It doesn’t use too much power yet it has a nicely designed electrical system that makes it very power efficient. 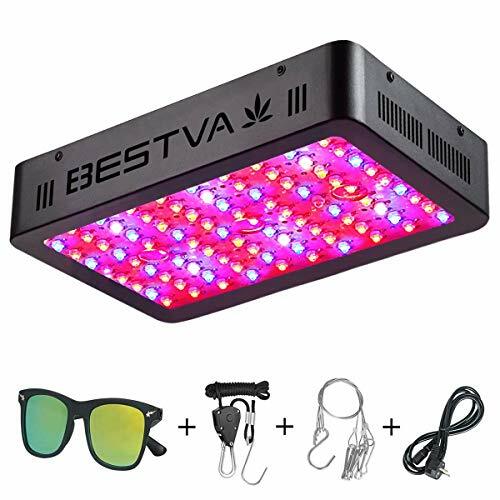 What’s more, they made this grow light with 120-degree lenses that are there to intensify and magnify the light output. This gives it a great boost when it comes to performance, without any drawbacks. 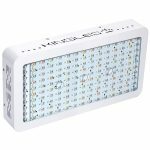 Dimgogo Newest Technology: Triple-chip(10W) LEDs, much brighter and work more efficiently on plant than Double-chip and traditional 3W and 5W LEDs, Triple-chip led grow lamp can make your plant growing fast and greatly saving your time, and scientifically engineered to keep the balance of the PAR/Lumen Output and Coverage. 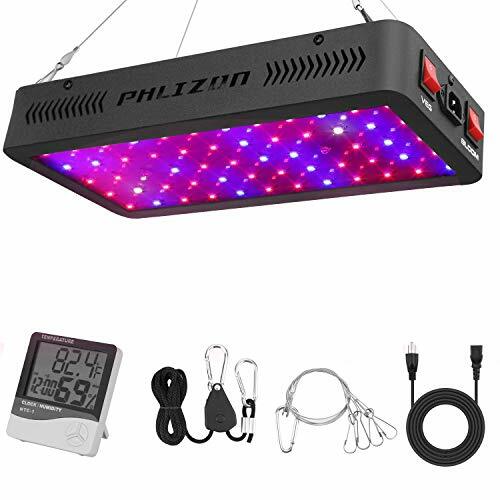 Full Spectrum: 1000 watt led grow lights include red, blue, white, IR and UV which is similar to the sunlight, ideal for all kinds of indoor plants veg and flower at all growth stages. Energy Saving: just consumes about 185w power, saving more money than HPS/MH lamp! Perfect for a 5.1' x 4.7' growing area at 24" height. 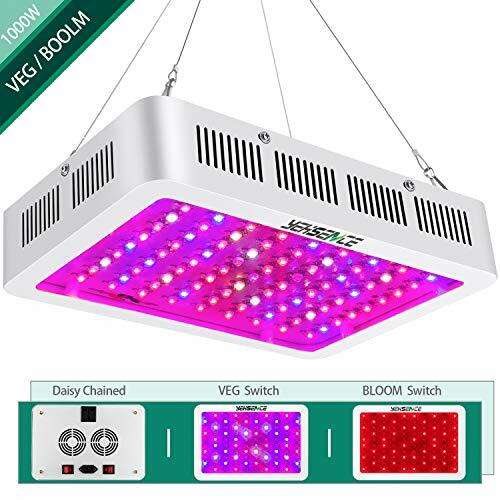 When it comes to quality of the materials used for Dimgogo Triple Chips Full Spectrum Grow Lamp, it’s pretty spot-on. The weak metal has been improved and the coating is added for a better look and safer handling. The metal is a bit thin, and theoretically, this should be a drawback when it comes to quality, but keep in mind that these are made to be hanged. Thinner metal means lighter lamp, and that’s very important. Now, let’s talk a little bit about cooling. Every single individual chip on this lamp has its own heat sink made of aluminum, which is a standard for heat dispersion in every device from TV to supercomputer. There are also two blow fans for every chip. 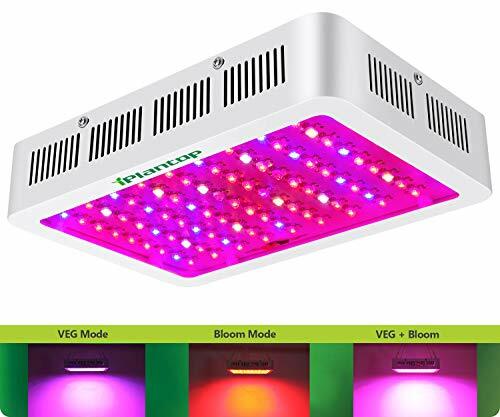 The cooling system of the Dimgogo Triple Chips Full Spectrum Grow Lamp is not quite suitable for narrower spaces because it’s necessary that the cool air flows through it. For the best cooling, it’s best that you place the lamp in an open-air tent or at room temperature. In a humid and warm environment, there are a lot of things that can damage this unit. If the temperature is too high, the cooling system might have some trouble dealing with the heat from the chips. This can result in failed columns or rows of the LEDs. Humidity can damage the fans by making them lose contact agent. This will make the fans function at lower RPMs and therefore have a lower impact on the heat. 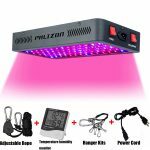 Good thing is that the LEDs produce a modest amount of heat so you don’t have to worry about your plants burning or something. To be completely honest, this is probably not the best unit out there. It can be improved in almost every aspect. However, it does an excellent job at providing the required energy for the plants, and all that while keeping the electricity bill at a modest level. It provides a full spectrum including the UV and IR which is excellent and it features optical lens technology that increases delivery of the energy. 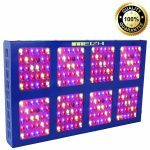 While this is not the lamp for professional growers, it’s more than suitable for beginners. It’s very easy to setup and use. Don’t forget to click on the button below so you can buy this unit for the LOWEST price on the market. Advanced Platinum Series P450 Review: Don’t Buy It Before Reading This!